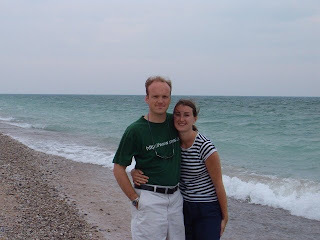 Last summer, Mark's parents took us on a lovely tour of Northern Michigan. It's stunning! Here we are, enjoying the wind and Petoskey stones on Lake Michigan. For the record, those are Mark's shorts, and I'm trying to keep them from blowing off! 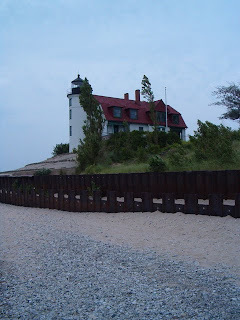 This a favorite among the favorites of favorite Reagan destinations: Point Betsy Lighthouse.